WLAN networking standards are described by the IEEE 802.11 group. Listed below is a description of each WLAN standard. 802.11a – Released after 802.11b, 802.11a has greater theoretical throughput and a greater coverage area. Since the commercial development of 802.11b had already begun, 802.11b became the commercial winner despite 802.11a’s doubled coverage area and capabilities in the uncrowded 5 GHz band. 802.11a and 802.11b are incompatible. 802.11b – Implemented as a standard in 1999. This standard provides 22 separate channels in the 2.4 GHz band. 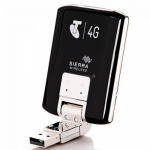 It can operate at speeds up to 11Mbps at a range of up to 50 meters. 802.11g – Also used the 2.4 GHz band making 802.11g a reasonable upgrade path from 802.11b which was widely installed. The main advantages of 802.11g were the throughput (54 Mbps) and that 802.11g supported 802.11b transmissions. 802.11n – Ratified by the IEEE in 2009, 802.11n provided 600 Mbps throughput over greater distances. This higher speed allowed voice and video communications to be supported. 802.11n is backward compatible with 802.11g, 802.11b, and 802.11a. 802.11ac – This standard provides well over 6 Gbps on the 5 GHz band. 802.11ac access points can handle multiple data streams on the same frequency. 802.11ac devices are often dual-band, meaning they can operate on the 2.4 GHz or 5GHz bands eliminating any compatibility issues with legacy equipment. Having a background in the evolution of cellular communications is good knowledge to have. Each major improvement in cellular communications is classified as a generation. 1G is the first generation “cellphone”. 1G devices used analog communications and were quite slow and cumbersome by today’s standards. 2G is the second generation where digital transmission was adopted. Along with voice data, 2G supported media and text downloads at 240 Kbps. Also in this generation, GSM (see below) was introduced for voice data only. 3G is the third generation and brought with its rates of 384 Kbps and packet switching for data. 4G is the fourth generation cellular technology. This generation provides an IP packet switched network that can provide up to 1 Gbps to a stationary or low speed (walking) device. Once your device is moving faster, the data rates decrease. For example on the highway, your device’s data rate might only be in the 100 Mbps range. Regardless, you will still reap the benefits of IP based packet switching for voice and data. The Global System for Mobile Communications (GSM) is one of two competing technologies used for cellular communications. GSM uses TDMA (Time Division Multiple Access) to separate data into timeslots, allowing multiple users access to the same channel. GSM requires a SIM (Subscriber Identity Module) card that contains the user’s carrier and subscription information. The SIM card can also store your contacts making them portable when you upgrade devices. Since GSM is globally adopted, you can communicate while abroad by simply purchasing a new SIM card for the country you are in (as well as checking with your carrier to avoid getting nailed with roaming charges). GSM phones can be “unlocked” from their network carrier by simply switching their SIM card. Code Division Multiple Access (CDMA) is the second competing technology used for cellular communications. CDMA communications exchange data using spread spectrum technology, the use of varying frequencies and intervals, as defined by the code, to send the transmissions. The multitude of available frequency codes improves privacy since the transmitting and receiving device must follow the same pattern. CDMA devices cannot be unlocked from their carrier as easily as GSM devices. When discussing wireless technology, it is very important to know the frequencies associated with the wireless equipment being used. We will now look at the frequencies used in wireless networking. 802.11b/g/n Wi-Fi devices all operate in the 2.4 GHz range which is from 2.4 GHz to 2.4835 GHz. In the U.S., Wi-Fi designates 11 channels for use within the 2.4 GHz range that are each 22 MHz wide. Overseas, 14 channels are defined. In order for your device to operate smoothly, please choose a non-overlapping channel. Channel bandwidth shortly will be discussed shortly. Since 2.4 GHz is an unallocated, unlicensed band free for any purpose, many device manufacturers use this band. Wi-Fi routers, some cordless telephones, and Bluetooth all operate on this frequency, creating the opportunity for interference between devices. Even your microwave oven generates signals at the upper end of the 2.4 GHz range! As you can see, the 2.4 GHz range is quite crowded. However, cell phones and AM radio signals do not operate on this range. The 5 GHz frequency band is another unregulated band which is seeing a lot of use in the wireless networking environment. The 5 GHz band is considerably less congested than the 2.4 GHz band. Initially used by 802.11a, later standards also took advantage of this range. 802.11n offers backward compatibility, most notably with 802.11a at 5 GHz at 54 Mbps and 802.11b/g at 2.4 GHz. 802.11ac is currently the best use of the 5 GHz band, offering gigabit speed rivaling Ethernet. Today’s wireless networking interfaces will conform to the data in the table below. Depending on the wireless standard used, the designated frequency range is divided into channels. Ideally, these channels will not overlap each other to prevent interference. However, this is not the case. This is illustrated in the following breakdown of the 2.4 GHz frequency where in the US, many of the 11 channels (14 in other countries) overlap. The graphic shows overlapping channels as broken lines and the three non-overlapping channels as solid lines. Channels have a bandwidth of 22MHz. As a result, channels 1, 6, and 11 are commonly used to avoid overlap. These non-overlapping channels are 5MHz apart from the next closest non-overlapping channel. The way 802.11b/g/n wireless standards utilize the 2.4 GHz frequency can be understood by looking again at the 2.4 GHz band. The 802.11n technology uses channel bonding to increase bandwidth by combining the two adjacent 20 MHz channels into one 40 MHz channel (shown above). While this technique is useful in the 802.11n 2.4 GHz band with 11 channels, its real potential lies in the 802.11ac 5.0 GHz band. In the 802.11ac 5.0 GHz band, channel bonding is utilized as follows: one channel at 20 MHZ, two channels at 40 MHZ, four channels at 80 MHz, and all eight channels at 160 MHz. Beginning with 802.11n, Multiple Input- Multiple Output (MIMO) allows more than one antenna to be used on clients and access points, allowing devices to transmit and receive simultaneously. Previously in 802.11g, multiple antennas took turns processing the data. With 802.11ac technology, it became possible to combine multiple client communications. This is called Multiuser MIMO (MU-MIMO). Optimal throughput can only be realized when both the client and access point support this feature. Most antennas used in home and office Wi-Fi are omnidirectional antennas. These antennas send and receive data in 360 degrees as and a result, the signal is available in the full circle. Unidirectional antennas transmit only in one general direction (point-to-point), allowing the full power of the transmission to be focused on a particular area. In order to assess the coverage area and determine the best AP placement for your WLAN, a site survey should be performed. A handheld Wi-Fi analyzer can be used to perform a site survey. When performing a site survey, the ultimate goal is to achieve the strongest signal-to-noise ratio (S/N) which is measured in decibels (dB). Our example below shows very good S/N for the BobCo-N AP and printer (using channel 1) and the TP-LINK_77DF AP (configured on channel 11). The S/N is measured using a negative scale, meaning that a more positive number represents a stronger signal. For example, a -40 dB signal is significantly stronger than a -80 dB signal. Looking at the example below, you should be able to recognize how crowded the range is and also how the majority of APs are grouped on the non-overlapping channels 1, 6, and 11. And that concludes our ExamNotes for Neetwork+ N10-007 sub-objective 1.6. There seems to be an error in the unidirectional/omnidirectional section. It should read “Unidirectional” antennas transmit only in one general direction (point-to-point)…. Thanks a lot for the feedback. We just made the change. User feedback is how this free community resource will improve over time. In the meantime, all users of these ExamNotes will benefit from the outcome of your actionable feedback.